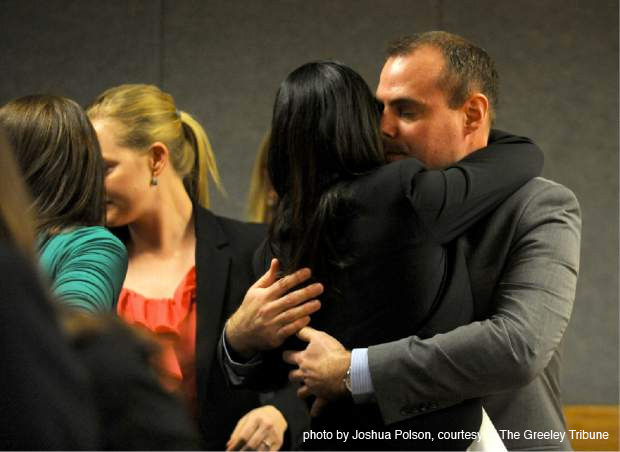 After a three-week trial and a little more than three hours of deliberation Thursday, a Weld District Court jury ultimately decided Tom Fallis was not guilty of killing his wife, Ashley Fallis. After fighting to see their daughter’s case in court for years, Ashley Fallis’ parents watched the man they’ve said killed their daughter hug his defense attorneys when he was cleared of the second-degree murder charge. Tom Fallis’ attorneys stood by his side and broke into tears when the judge read the jury’s verdict. Back patting and arm holding turned into hugs as Tom Fallis celebrated the verdict with his defense team. Debbie McEvers had to talk to herself some nights as she drove home alone from a day of jury duty in the murder trial of Tom Fallis. She couldn’t talk to anyone else — not even other jurors until their deliberations began — and she needed some way to decompress so she could be emotionally present for her family. Sometimes, she ran an entire monologue during the drive, as if she was telling her fiancé about her day, trying to process the thoughts and feelings that arose. The Fallis trial was the first time McEvers, an elementary school teacher, served as a juror. The others elected her foreperson. I write this after returning from the Weld County courtroom where the Tom Fallis murder trial just ended with a not guilty verdict. My wife and I attended almost every day since opening arguments. 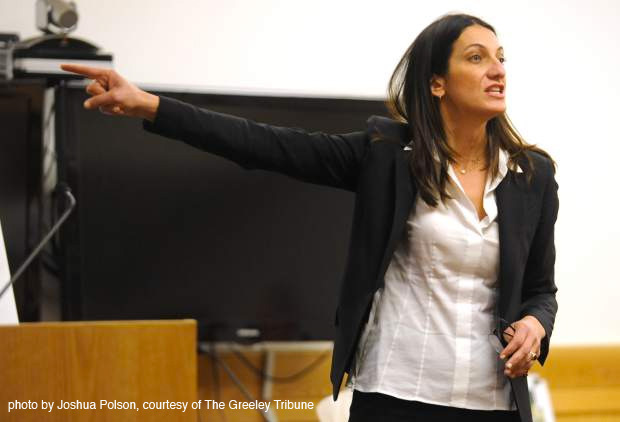 This trial received considerable attention in both the local as well as the Denver media. As neutral observers, with no connections to either side, our only source of information before the trial was through the media. Based on that fact, we went into the courtroom leaning a bit toward guilty. We also started following the tweets from some of the media we saw in court each day and viewed reports on the Denver television channels. The jury’s forewoman handed the verdict to the judge, and the answer to a question that had tormented two families and a local police department lay written on the page. For four years, former Weld County sheriff’s deputy Tom Fallis had insisted he watched his wife commit suicide. For four years, Ashley Fallis’ family had insisted that Tom pulled the trigger, then enlisted his friends in law enforcement to help cover it up. Tom Fallis, a former Colorado corrections deputy who was charged with second-degree murder in his wife’s 2012 shooting death, was found not guilty today. The jury deliberated for less than four hours before reaching a verdict. Fallis’ defense attorney Iris Eytan wiped away tears and mouthed “thank you” to the jury, as Tom Fallis hugged both of his attorneys, showing little emotion. Fallis was charged with second-degree murder after being accused of shooting and killing his wife Ashley Fallis on Jan. 1, 2012, after the couple had hosted a New Year’s Eve party with family and friends at their home in Evans, Colorado. Ashley Fallis’ family held hands for the verdict, then rushed out of the courtroom looking upset and angry after it was read. Ashley’s death was initially ruled a suicide by five separate law enforcement agencies, but new witness statements surfaced in 2014 and led to a grand jury investigation. Fallis was ultimately indicted for second-degree murder in November 2014.